The Rotary Club of Royal Hua Hin continue to support their local hospital in the city, the Hua Hin General. On Wednesday 27th March 2019, 17 members and guests of the club attended the Hospital to present a cheque for 150,000 THB for the purchase of 10 computers. In August 2018 the club donated a Transcutaneous Electrical Nerve Stimulation device, used to produce an electric current to stimulate nerves for therapeutic purposes, followed in December by a much needed flexible Fibre Optic Bronco-scope machine, the latter being a combined purchase with the Rotary Club of Hua Hin. 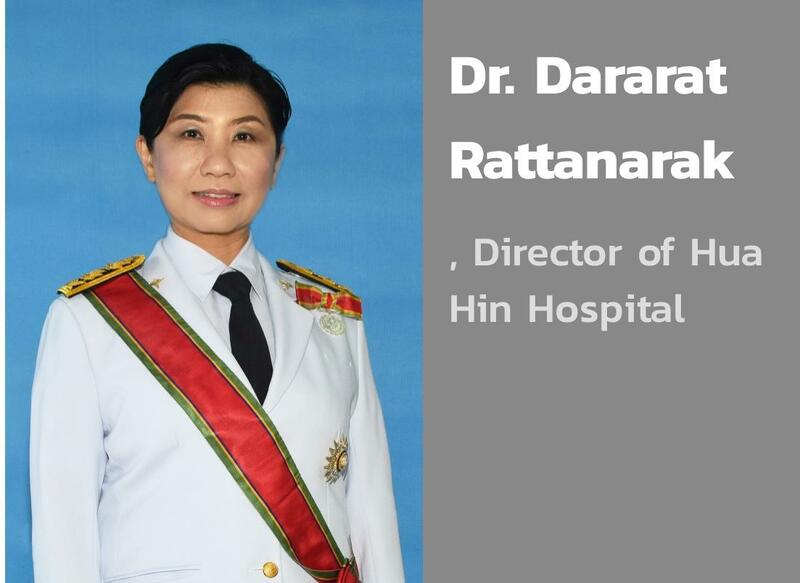 During the official handover of the machine to the Director Dr Dararat Rattanarak, she talked of the need for 10 new computers for the hospital, the existing ones they have are old and out of date. Each new computer costs 15,000 THB. Following the conversation and thanks to the generosity of club members, it was agreed to donate a total of 150,000 THB to purchase the new machines, and the cheque was presented to Dr Dararat Rattanarak today by President Brian Anderson. Dr Rattanarak, thanked everyone for the generous donation and said the new computers would be used at patient registrations, which she hoped would speed up and streamline the process. Below are some pictures and CLICK HERE for more.